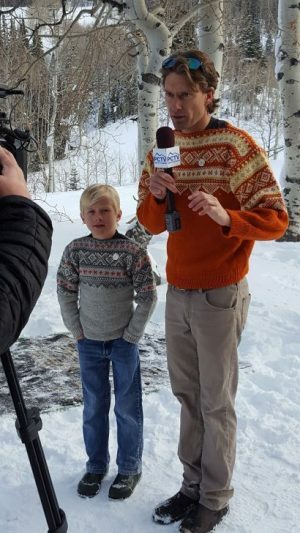 Pioneer of Modern Skiing and Beloved Park City Community Member Remembered. Stein thrilled visitors to Park City with his aerial flips. He was a gymnast by training, and his graceful moves influenced several generations of free stylers. Stein Eriksen’s kind demeanor and passion for alpine skiing defined him in equal measure. 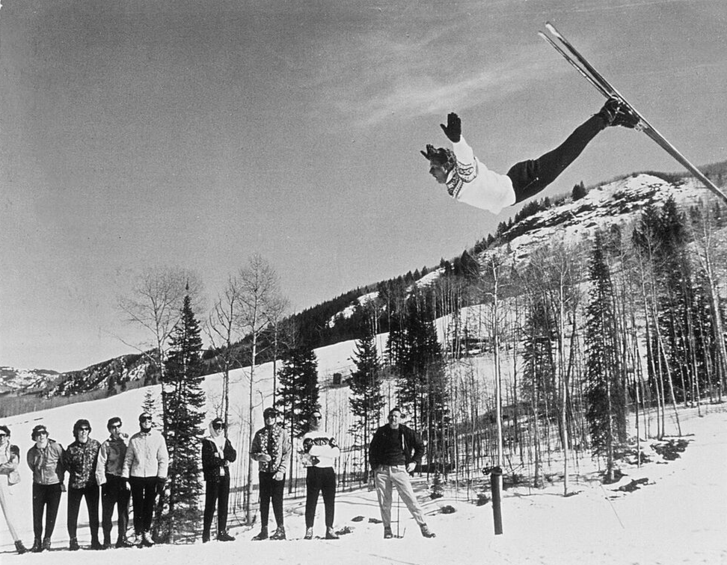 An accomplished gymnast, Stein transformed skiing by integrating aerials and other acrobatics into the sport. Stein proudly represented his home country of Norway in the 1952 Oslo Olympic Winter Games, winning gold in giant slalom and silver in slalom. In 1954 Stein became the first alpine skier to win “Triple Gold” in the World Championships in Åre, Sweden. As admired as he was for his grace on the slopes, those who knew him personally will attest just as much to his thoughtfulness, generosity and sense of humor. Stein’s son Bjorn (right) and Cameron Berard at the dedication ceremony. Stein arrived in Utah in 1969 and resided in Park City until his death in 2015. He proudly served as director of skiing for Deer Valley from the resort’s inception in 1981, working closely with founders Edgar and Polly Stern to fulfill their vision of providing a resort experience unlike any other in the industry. Stein’s desire to develop an internationally-renowned luxury hotel was fulfilled in 1982 with the opening of the now world-famous Stein Eriksen Lodge. His influence in the ski industry and at both Deer Valley and the lodge that bears his name was infinite and his legacy will always be a fundamental aspect of their success. This plaque was dedicated by Park City’s City Council on December 11, 2016 to honor Stein’s enduring memory and his outstanding contribution to the sport of skiing and the town of Park City. It also officially commemorates December 11 (Stein’s birthday) as Stein Eriksen Day. 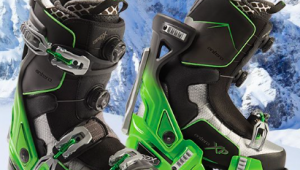 I have been involved in the ski industry my whole life. 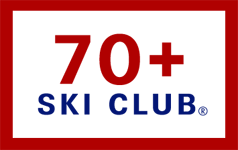 Last 45 years as a certified PSIA member and USSA race coach. I went to college in VT graduating from Windham College, Putney VT in 1962. That brings me to my thoughts of Stein Eriksen. Back in 1964/65 Stein was the Director of Skiing at Sugarbush Ski Area, VT. I shared a ski house with friends and was on the mountain every weekend. Conditions by today’s standards were awful. There was no snowmaking on 90% of the mountain. So one day I find myself on a nasty, steep, rocky, poorly snow covered trail. The only snow on the trail is on the very outside edges that has been scrapped off to the sides. Trees line each side of the trail. I am making my way down very carefully when out of the corner of my eye I see someone coming at me full speed. It was Stein and he was completely relaxed, seemed to be tip toeing on the crest of the edge of the trail, probably going 40 mph looking like he was just taking a Sunday stroll. In that moment I realized the difference between we mortals who take up the sport and those that are at the world class level. I just thought I would share that story with you. It happened a long time ago but it is etched in my memory bank. To this day I continue to coach and work with young skiers teaching them technique but also opening them up to the beauty and rhythm of the sport. Much of that goes back to that moment in time. Without Stein ever knowing it he was a very big influence in my life. That’s a wonderful account Toby. It’s amazing how special moments like that shape our lives. Keep on coaching.